We visited Morocco in 2016, and it became one of our favorite cities (you might realize that I’ll say that about almost every city!). I’ll admit that this was the first place I truly experienced culture shock. I didn’t even want to leave the riad after our first venture outside. But, my wonderful husband convinced me to give it another shot, and I’m so glad he did! We visited the Jardin Majorelle, Yves Saint-Laurent's personal gardens, got lost in the souks, haggled quite a bit for lots of souvenirs, took a camel ride at sunset, visited a Jewish Synagogue built in 1492, and generally explored the city. We also visited Ait-Ben-Haddou, which was a full day tour from Marrakech. This tour took us completely over and to the other side of the Atlas mountains, affording us gorgeous views of the valleys along the way. We also realized once we arrived at Ait-Ben-Haddou that this was the filming location of Gladiator and (drumroll please) Game of Thrones! Ait-Ben-Haddou was the backdrop for the city of Yunkai, one of the cities along Khaleesi's route in Season 3. I know, no big deal. The people here are so friendly, and actually wanted to talk to us about their city and culture. 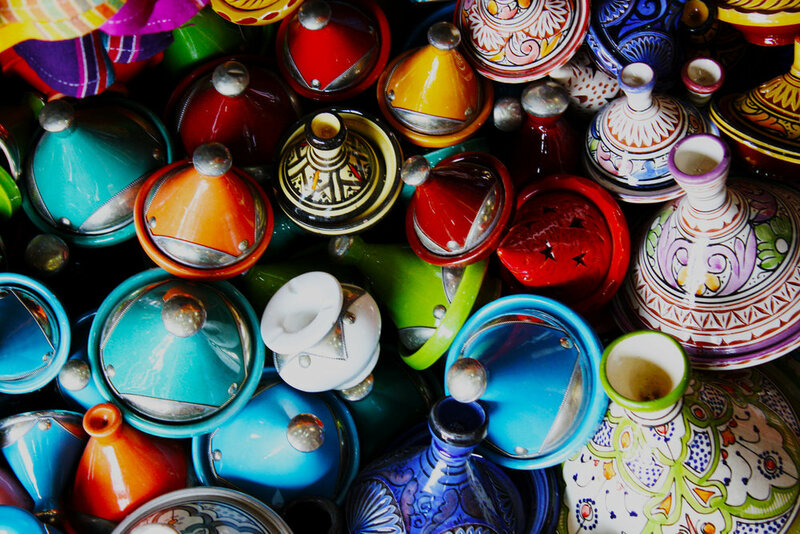 We were mesmerized by the souks, calls to prayers, and all the COLOR! I think we can safely say that in Marrakech, we got to know the locals more so than in any other city we have visited over the years. We can’t wait to return some day! Jet lag happens to the best of us, and it can really upset your first few days of your exciting vacation if you don’t know how to overcome it. I’ll let you know some of the things that we do to overcome it quickly, so that you can nix the jet lag and move on to sightseeing!